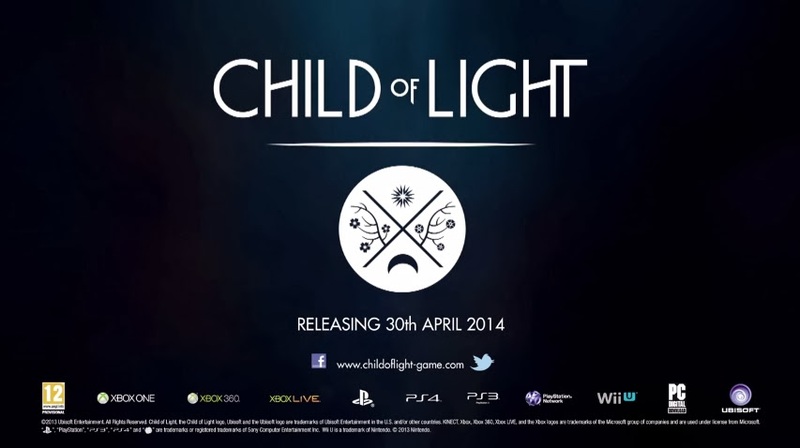 Ubisoft recently announced that their upcoming title, Child Of Light will be released on April 30th this year for PlayStation 3, PlayStation 4, Xbox 360. Xbox One, Nintendo Wii U and Windows PC! Child of Light is a reimagining of classic fairytales, inviting players on an epic adventure into the magical painted world of Lemuria. Players will uncover mysteries, participate in turn-by-turn combat inspired by classic JRPGs, and explore a mystical kingdom. The game puts players in the shoes of Aurora, a child stolen from her home, who, in her quest to return, must bring back the sun, the moon and the stars held captive by the Queen of the Night. Helped by her companion Igniculus the firefly and several unlikely allies, Aurora will face her darkest fears, including dragons and other mystical creatures, in this modern take on a coming-of-age. See the new features trailer below!